"Too many people think that, because they consider themselves scientific somehow, everything they believe in is science." As Ronald Reagan said almost 50 years ago, the people running Social Security always claimed it couldn't run out because they could just raise taxes to pay for it. *UPDATE: Chris Matthews, courtesy Newsbusters, admitted that Social Security is essentially a Ponzi Scheme, something leftists typically stamp their foot and deny. He even noted that the plan was only intended for the very poor and only for a short time, since life expectancies were much shorter when FDR pushed it through. When the husband earns the bulk of the income, the spouses are equally likely to have final say about financial decisions. When the wife earns the bulk of the income, in contrast, the wife is twice as likely as the husband to have final say about financial decisions. This finding mirrors a pattern that I noticed among the couples whose stories I recount in the book: His earnings are joint, but her earnings are hers. Here's the thing: this doesn't only apply to black women. It seems to apply to women across the board, as if society hasn't quite adjusted to the idea that women and men work equally in the world and are equivalent in a marriage. What's yours is mine, whats mine is mine, sweetie. Not all women are like this, but I've noticed that many are. This works great for women, but not so great for men, marriage, or family. Some of it applies to all politicians, but all of it applies to President Obama. That's why when he looks at you, he has dead eyes. You exist to promote and support his existence. Over a year now the calls for privatizing the US postal service have been growing. Really this is a model that has outlived its usefulness, and as it is increasingly wrapped in union rules, government regulation, and the debris of age that any business tends to gain, its almost collapsed entirely. Just drop the idea the government runs mail, let private businesses carry letters, and the concept can survive. We can't entirely delete the mail service for a host of reasons but we can't really justify a government one any longer. 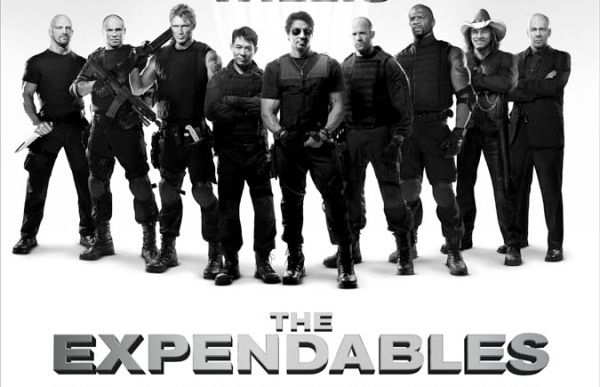 One of the more enjoyable movies of the last year was The Expendables, with lots of tough guys doing dangerous stuff to help people in need despite themselves, and starring some of my favorite guys. I never really cared for Dolph Lundgren before this movie, and now I think he's great. His performance in that movie was simply brilliant. And now, with a sequel in the works, it looks like they'll be pulling in the only two major action stars that didn't make it in the last one: Chuck Norris and Jean Claude Van Damme. I'd like to see Steven Segal in there somewhere but I doubt his gargantuan ego would allow him to be in an ensemble cast. Still, they could work him in; maybe he could die horribly like in Executive Decision. This time, though, give Jet Li a better part. Doubtless Anand Giridharadas will pay a high price for daring to say so, but amazingly enough he wrote in the New York Times (after several paragraphs of obligatory insults and attacks) that not everything Sarah Palin says is stupid or wrong. No one should have a problem with those points, he noted. And that's Sarah Palin's strength and why the left is desperate to tear her down. For her entire political career, Palin has been a force to destroy corruption and block cronyism. And she does so in a manner that people respond well to and are comfortable with. I think she'd be a poor president for a variety of reasons but as a pundit and a voice for conservatism, she's brilliant. On February 4, 2009, just sixteen days into his Administration, Obama signed into law a 156 percent increase in the federal excise tax on tobacco, a hike of 61 cents per pack. If an employer does not offer health coverage, and at least one employee qualifies for a health tax credit, the employer must pay an additional non-deductible tax of $2000 for all full-time employees. Creation of a new, 3.8 percent surtax on investment income earned in households making at least $250,000 ($200,000 single income - goes into effect 2013). Medical device manufacturers employ 360,000 people in 6000 plants across the country. This law imposes a new 2.3% excise tax. Now, as opposed to President Bush with his "read my lips" comment, this is more than 20 increases instead of one... oh, and the press and popular culture aren't hammering him for it. "Now this has taken a hit on the president politically. 44-percent approve of the job he’s doing, all time low of his presidency. A more important number that our pollsters say is in there is this idea that is this a long-term setback for him or a short-term one? 54-percent said long-term. Our pollsters are concerned." I, I, but, if you look at the trend line, this is just simply in the data. I, I, look, I am aware of, of how people are trying to interpret that line, and it’s like, come on guys, there is not hidden bias all over the place. No, we don't figure this bias is hidden, so much. It would be hard to conjure up a more ridiculous candidate for a sinister force than this generally well-mannered and pacific political movement. I remember well when the Tea Party Movement was gaining popularity the fretful comments of one leftist commenter here, fearing their danger and how violent they could become. The Black Bloc laced anti-Bush protests didn't generate any such concern, only defense, but the Tea Party... those grannies are dangerous! Why? Because of a myth Bergner didn't write about: conservatives are one shell casing away from snapping and killing everyone they disagree with. That's the presumption behind the attacks on the Tea Party Movement, a genuine fear that conservatives will rise up violently at any moment and throw everyone into camps. Conservatives are barely able to control their goose-stepping tendencies, according to the left. 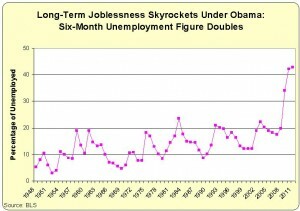 Any time some leftist talks about the "stimulus" package saving or creating millions of jobs, refer them to this. 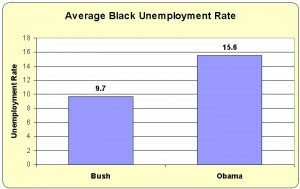 All that spending was to save us from unemployment as bad as 8%; people would be ecstatic if it got that low. Speaking of the "stimulus" package, apparently its polling so badly and has gotten such an awful name that House Minority Leader Nancy Pelosi (D-CA) has scrubbed the word "stimulus" from her website and comments. You'll notice nobody else in the Democratic Party using that word either, its gotten an awful stink even while President Obama was trying to sell Eric the Half-a-Stimulus in his speech last night. Last WATN wrap up I wrote about how California Democrats were trying hard to block a referendum to repeal their jobs-killing internet sales tax. Well, they failed. I just wish California would stop being so schizophrenic, they have one good idea then double down with something idiotic. A Wisconsin group did a study to prove that the Government Health Insurance Takeover Act is great. Instead, they proved the opposite. Pete Suderman at Reason writes that the study actually shows that fewer people will be insured, and that it actually will make health care more expensive. Again: that's the primary flaw with government health insurance schemes ("socialized medicine"), that they do nothing to address costs. When you've lost the Washington Post, you know things aren't going well as a Democrat president. Recently Glenn Kessler wrote that the president's repeated claims of tax cuts aren't very honest, after all. I happened to visit Solyndra’s headquarters today, so maybe I can help the Republicans with their investigation. For starters, the reports of Solyndra’s death have been greatly exaggerated. And while reasonable people can disagree about the loan guarantee program, it’s not the boondoggle its critics suggest. The company is perfectly fine, they told me so! Now that the company is collapsing and has been raided by the FBI for shady fiscal dealing, the House is investigating why this big-time Obama donor got such sweet sub-standard interest rates on the loans, and everyone is wondering why on earth the president held this turkey up as a shining example of the future of green technology, Grunwald was assigned to write about the story again, as Verum Serum notes. Grunwald is not happy. Sources tell me the Obama administration restructured the loan this winter, so taxpayers probably won’t even be the first creditors to get paid after Solyndra files for bankruptcy next week. The first $75 million will go to two Solyndra investors who poured in extra cash when the company nearly went bust in January. And one of them is a venture associated with the billionaire George Kaiser, an Obama campaign bundler. One of the least excusable mistakes a reporter can make is confirmation bias: to believe - and worse - report on a story based on what you want to be true rather than what is true. While we're on the subject of reporting, Yid with Lid wrote recently about a New York Times front page article warning young reporters to be careful because those awful bloggers are out there. Their concern is that there are conservative bloggers out there who want to "embarrass" reporters and catch them up. The thing is... why would you need to tell a reporter to be honest, open, and lack bias only because of bloggers? Shouldn't that go without saying? Unlike Media Matters' tax-law violating Fox News hunt, bloggers aren't out to "get" reporters. We just react poorly when reporters blatantly abuse their position and violate any reasonable principle of objectivity and neutrality, particularly when they give all pretense of these virtues. If you do something that violates what you say you are, you're going to get busted. Welcome to the world you created, reporters: you're accountable just like everyone you target. Apparently following AFL-CIO president Hoffa's call to arms and violence, the Washington Teamster's union has gone berserk over port negotiations. They kidnapped a security guard, vandalized a building and roughed up cops. The police declined to file any charges against those high-spirited union scamps. For a company whose motto is supposedly "do no evil" Google seems to do an awful lot. If they aren't pandering to the brutal communist Chinese government, they're helping shysters advertise. Google just paid a $500,000,000 fine for knowingly helping a fraudulent Canadian pharmaceutical company advertise. As in, they were aware these ads and products were bogus, but advertised them anyway. 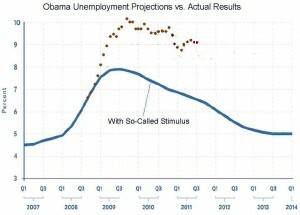 And finally, President Obama made a speech about jobs which I wrote about, but there's an easier job plan he could with a simple statement start in motion. A study done by the American Petroleum Institute estimates that as many as one million private sector jobs would be created by opening up drilling, relaxing shale oil regulations, and getting the Canadian Tar Sands pipeline going. But then, none of those jobs require the US Government doing anything, just stepping out of the way. And that's the Word Around the Net for September 9, 2011.